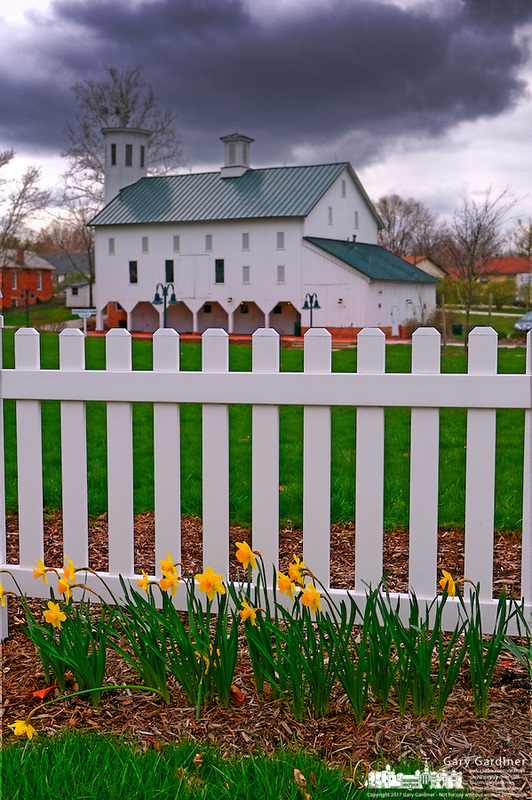 Daffodils line a garden along a white picket fence at Heritage Park in Westerville, Ohio. The centerpiece of the park is Everal Barn, a restored working barn now part of the Westerville park system. Photo Copyright Gary Gardiner.